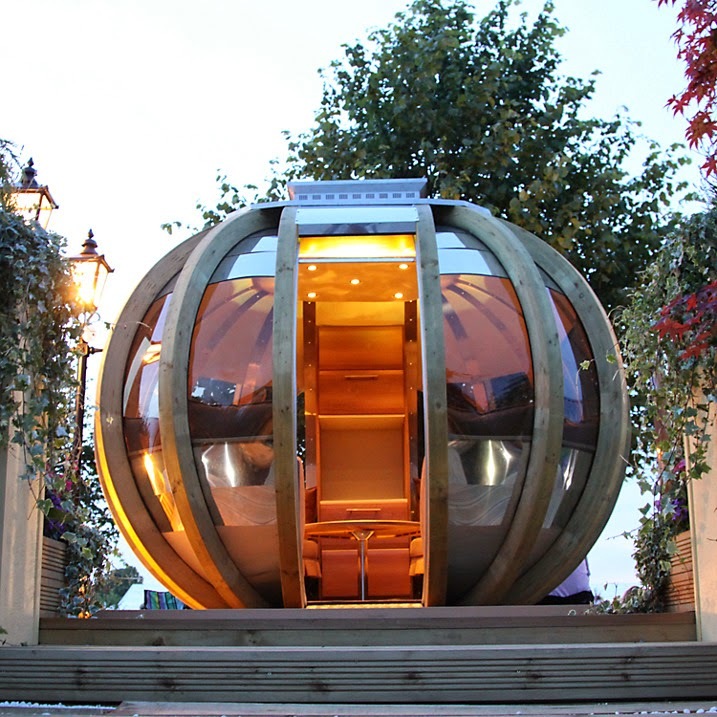 The deluxe garden summer house will provide that extra outdoor room many of us long for. The beautiful, contemporary design makes it an outstanding architectural feature that will look great in a most spaces, reflecting its surroundings so that it really becomes part of the garden. 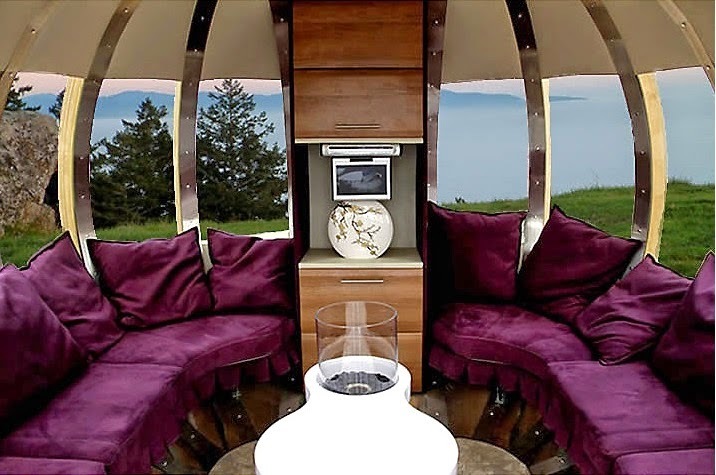 It contains 2 seats, with luxuriously deep seat cushions, that will hold up to 10 people - ideal for evening entertaining or when summer showers strike. 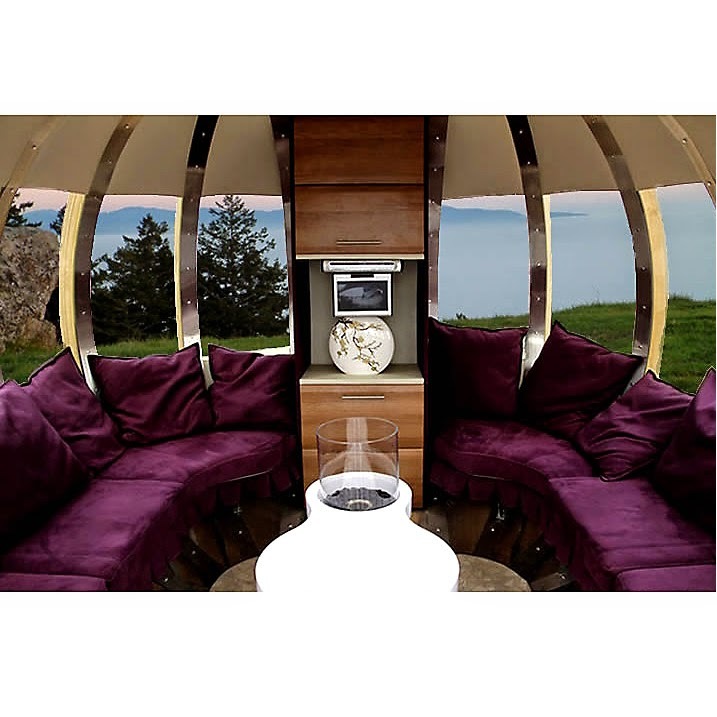 Windows all around the pod give a full panoramic view and are bronze tinted to reflect glare. The roof is made from stainless steel to reflect heat and offer relaxing shade.